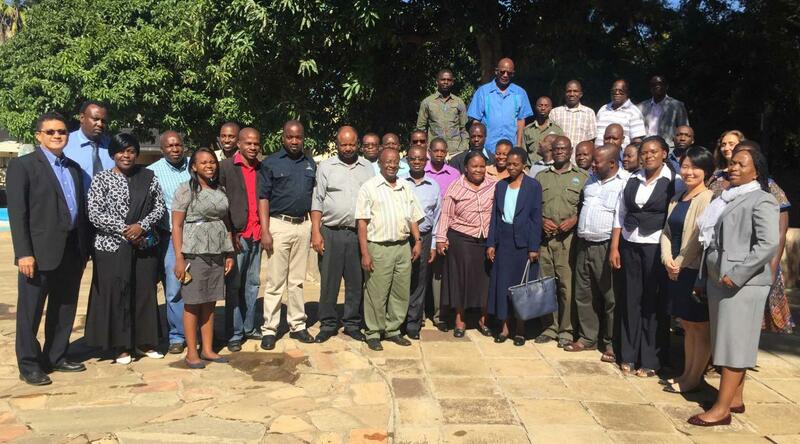 4-6 May 2016, Kadoma, Zimbabwe: A National NAP workshop was held in Zimbabwe, jointly organized and supported by the Government of Zimbabwe, UNDP Zimbabwe Country Office, the Global Water Partnership (GWP), and NAP-GSP. Forty participants from key ministries joined the workshop, including the Ministry of Environment, Water and Climate, the Climate Change Department, the Ministry of Agriculture, the Environment Management Agency and other key ministries. Workshop topics included mainstreaming climate change adaption in Zimbabwe, appraising of climate change adaptation options, cost benefit analysis, and stocktaking of the existing climate change adaptation situation in Zimbabwe. Exercises were conducted to identify the stakeholders involved in the NAP process in Zimbabwe. Key entry points for the NAP process in Zimbabwe were discussed during the workshop through group exercises and individual interviews. NAP-support priorities include enhancing coordination between national and local levels to advance the NAP process. The climate change governance framework was also discussed, with a view to mainstream climate change adaptation into all sectors. Workshop participants agreeed to share training knowledge with ministerial colleagues and supervisors, to advance the NAP process in all sectors.